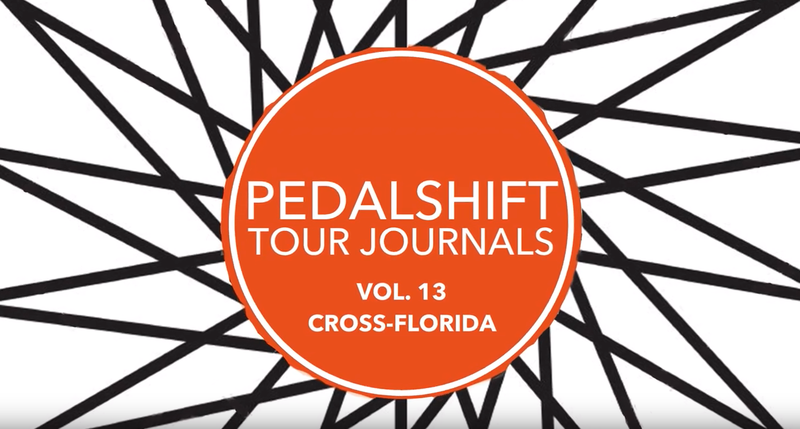 Pedalshift Tour Journals Vol. 13 from Tampa to Cocoa Beach across Central Florida on a Brompton! 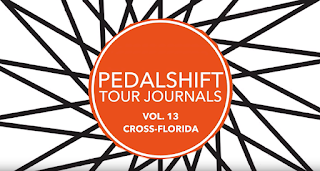 Learn more about the tour and listen to the podcast at Pedalshift Project numbers 151 and 153-156. Central Florida has a thousand personalities. Sure, we all know the theme parks, and the big cities of Tampa and Orlando, but there are also huge swaths of barely developed pastures, orange groves, irrigation canals and lakes to catch a cyclists’ eye while pedaling the miles away. A lot of people come to Florida to escape the chill of winter and return with stories and surprises. This tour was no different!